The new partnership between Amazon (AMZN - Get Report) , Berkshire Hathaway (BRK.A - Get Report) and JPMorgan Chase & Co. (JPM - Get Report) focused on providing technological healthcare solutions for their U.S. employees is billed as disrupting the traditional healthcare model. It's also trumpeted as a non-profit exercise. But it may really just be a means of leveraging the purchasing power of a huge group of employees. The Jan. 30 announcement by the three companies was not much more than quotes from famed investor and Berkshire CEO Warren Buffett, Amazon CEO Jeff Bezos and JPMorgan CEO Jaime Dimon about a desire to make healthcare more transparent and affordable. While some analysts insisted the effort could disrupt the industry, others cautioned that it may simply be a way of combining their purchasing power. Between all three companies, there are a total of 1 million employees. The statement said, "The three companies, which bring their scale and complementary expertise to this long-term effort, will pursue this objective through an independent company that is free from profit-making incentives and constraints." With Amazon as one of the players, the overarching goal could be the creation of a model that would disrupt the delivery of medical services as well giving technology a bigger role in driving efficiencies across the healthcare sector. JPMorgan is a holding in Jim Cramer's Action Alerts PLUS Charitable Trust Portfolio . Want to be alerted before Cramer buys or sells JPM? Learn more now. The new organization will focus on the employees of the three companies, but Dimon said in a statement that the effort could grow. "Our goal is to create solutions that benefit our U.S. employees, their families and, potentially all Americans." The partnership brings a variety of expertise to the new company. Berkshire's holdings include no less than 10 companies in the insurance sector. Amazon has long been rumored to be preparing an entry into the pharmacy or pharmacy benefit manager business. And JPMorgan has a well-respected reputation in healthcare having bankrolled a wide variety of healthcare companies and putting on the world's largest annual pharmaceutical showcase, the JPMorgan Healthcare Conference in San Francisco. Your new king of healthcare, Jeff Bezos. The decision to make profit less of an issue and the multiple mentions of reducing the impact of healthcare on the economy in the announcement seems to indicate that rather than creating a large company designed to compete for market share, the trio of companies may be looking to push the industry to operate more efficiently. Healthcare spending totals 18% of the GDP in the United States. While healthcare represents an outsized piece of the U.S. economy, most of the attention that has been paid to the sector has landed in the political arena as the GOP has spent years trying to dismantle the Affordable Care Act created by the Obama administration, which disrupted the healthcare field. The Trump administration promised to replace the ACA in quick fashion once it took office, but infighting by Republicans has kept many parts of the ACA on the books for now. At this time, employee-sponsored healthcare coverage is still the largest part of the domestic health insurance market. The non-profit designation with regard to healthcare is of course present in the hospital and clinic sector. The landscape of the hospital business has been undergoing a consolidation trend, with the pace of consolidation doubling between 2011 and 2015, according to data from the Healthcare Financial Management Association. Last year saw non-profits Catholic Health Initiatives and Dignity Health tie the knot as well as the Ascension Health-Providence St. Joseph Health deal. Advocate Health Care and Aurora Health Care have joined forces as non-profits. 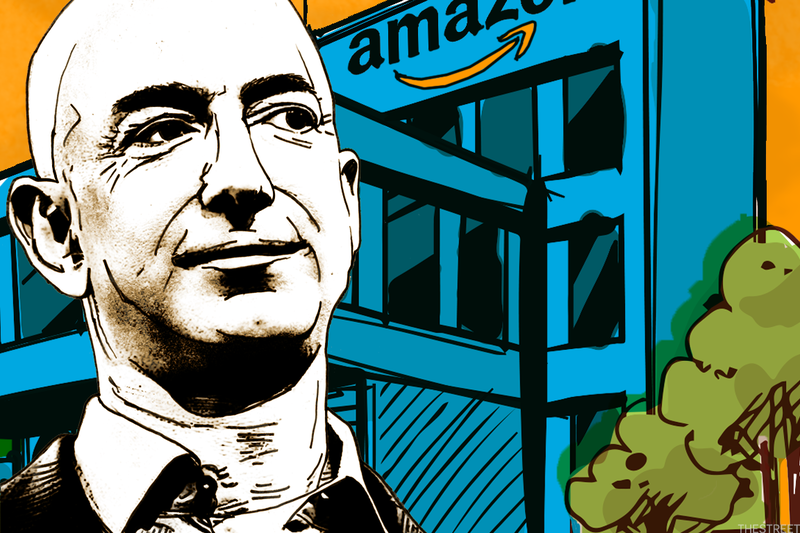 Given that environment, if the new company created by Amazon et al is looking to capture costs and lead by example, establishing a new non-profit healthcare company that includes purchased non-profit facilities, with innovation and transparency being driven by technology could be one of the directions it takes. "The announcement was pretty light on specifics in terms of what this company will actually do," said Will Hinde, the managing director for healthcare at West Monroe Partners in Chicago. "At this point, they could be talking as small as employee clinics and as large as the largest integrated healthcare company. But the industry is ripe for disruption, and this group of companies has the money and intelligence to succeed." Hinde wasn't sure what to make of the claim that new company would be non-profit. But he did say that he believed that the new undertaking would be a pilot program designed with an eye to move beyond the employees of the three companies. "I think that's why you saw a dip in the market today, this is seen as a warning shot," he said. John Hanley, the managing director of healthcare finance at investment bank B.C. Ziegler and Co., says that the trio of companies may be doing something as simple as trying to drive down healthcare premiums for their employees, while giving them more choices and a better understanding the healthcare they can receive. "Just like hospitals can band together to make group purchases and drive down their costs, these companies may be getting together," he said. He pointed out the large number of companies owned by Berkshire Hathaway as well as the employees at JPMorgan. "And Amazon is adding a lot of employees. But there really isn't much information about any of this yet."